It`s no secret that Beats have probably the poorest reputation of any piece of audio equipment. And that`s no surprise really, they embody everything audiophiles scorn in general; marketed through celebrities, popular with kids, have a poor price/performance ratio and worst of all, have gained mass popularity and recognition. I`ve actually wanted to have a look at the Studio 2.0`s for a while. I despised the first generation model, the sound was mediocre at best and the design wasn`t anything particularly sophisticated. But when the 2013 model was released, I took a liking to the much sleeker design and many reviewers similarly praised it`s more balanced sound. The unit I`m reviewing was actually broken and, as a result, I received them for a fantastic price (also verified authentic). I`ve been slowly restoring them to a listenable state over the past month and am ready to give my unbiased opinion upon the widely renowned Beats Studio 2.0`s. The un-boxing experience of any Beats product is akin to opening a chest in an old Zelda game, so extravagant you can almost perceive a golden aura. As mentioned by consumers and reviewers alike, the packaging is very masterful. The box is huge, its outer cover heavy in high contrast images for impact. The front showcases the headphones surrounded by the usual black aether whilst the rear displays some of the accessories and basic marketing. Sliding off the cover reveals a bright red, two piece box with the Beats branding. This box contains a hard case (containing the headphones) in a molded inlet and underneath that, a box containing the remote, audio and power cables in addition to a 1A wall charger. Also included is a carabiner, should you want to hang the included case from a bag, a microfiber cloth to retain the shine of that gloss finish and some papers containing warranty information and information regarding the other Beats product range. You`ll feel like you`ve gotten your $400`s worth here. In terms of aesthetic design, the studio 2.0`s are easily as masterful as any Apple product, and easily superior to the first generation Studio for that matter. This is partly because the new Studio 2.0`s don`t pursue a professional or overly complex look, but rather a more streamlined, commuter design. Beats products will never look understated or subtle, and the new Beats range still retains a more modern, even juvenile orientated look. Regardless, the underlying design of the new Studio`s isn`t nearly as ostentatious as its predecessors. Looks are always subjective but, to my eye, the Studio 2.0`s are a good looking headphone. They`re very sleek with clean lines and plush pads, the body entirely coated in a very eye-catching super gloss finish. That`s not to say that the design is perfect, the feel of the headphones is another matter entirely, but starting with a positive, the new Studio`s are pretty comfortable. The earpads in particular are very nice, oval for ergonomics and comprising of soft memory foam encased within a supple if rubbery protein leather. The cushioning is very plush, and whilst the faux leather isn`t as nice as that used on the Oppo PM3`s, it seals very well and doesn`t irritate the skin. The pads have modest depth and fit very snuggly around my largish ears. It feels a little cramped for me but those with more average sized ears will have no issue. The headband by contrast is pretty average. There`s little padding and the rubber feels cheap and tacky. A bit of memory foam and alcantara such as that on the Bose QC series would have greatly improved the feel of the headphones. That being said, the headband doesn`t pull on my hair and its grippy texture does contribute to a more stable fit. In addition, the lightweight of the Studio`s combined with a moderate headband width results in long term comfort, somewhat offsetting the firmer, more clamping band. Onto the body of the headphones, considering that they`re almost completely plastic, they don`t feel too bad. I would expect a little more for the asking price price, the aluminium cups of the Bose QC25`s feel a lot firmer whilst competitors from Sennheiser, Oppo and B&W offer blends of metal and leather that avoid visible plastic entirely. The gloss finish of the new Studio`s looks great, but the feel is pretty poor. The plastic used by Sony MDR headphones for example, have a much more premium feel. Contrasting to the aforementioned models, the Studio 2.0`s are rather the opposite, the externals being entirely plastic clad with points of stress such as the hinges being constructed from alloy. The headband also has internal metal reinforcement, a common point of failure on the first generation model. This choice of materials does grant the headphones an incredibly light weight, great for use during a commute or even exercise. The Studio 2.0`s do have some plastic creak, it`s not too loud, but can sound a little alarming when the headphones are stretched or twisted. Also being both gloss and black they`re pretty much impossible to keep clean, photographing them in direct sunlight was a post processing nightmare. I also noticed that the clamp force is quite high which, in addition to the great seal produced by the over-ear memory foam pads, results in great passive noise isolation. This is pertinent because the active noise cancellation is pretty mediocre. At first I thought mine were fake because the ANC was barely working but I can sense a slight pressure from the circuits and I`ve tested that both the internal and external microphones are working, it`s just not overly effective. A common comparison, the Bose QC25`s will block a LOT more noise, but the Studio 2.0`s have similar levels of passive isolation to something like the Oppo PM3`s with a little ANC on top. The ANC does a good job blocking low frequencies but that`s it, so isolation on a whole is pretty good, better than most sealed headphones in fact, but most similarly priced ANC headphones will block more noise. The earcups are quite interesting particular, well finished with varying textures for an intriguing feel. While the external panels are all super gloss, the internally facing panels have a soft-touch finish. The earcups have a really strange angling mechanism that`s both an aesthetic highlight and a functional addition, pretty innovative. They kind of float on a red silicone membrane that contrasts well to the black body and allows the earcups to adjust to pretty much any head shape. It works well but collects a lot of dust without frequent cleaning. The headphones adjust through a ratchet mechanism that`s clicky but a little mushy. I would have liked small markings on the inside of the band to allow for quicker adjustment. The headphones have a small hinge allowing them to fold in for storage. The headphones get very compact for an over-ear when folded down, fitting into the included case with room to spare for additional cables, etc. The hinge is a little small, but the alloy build inspires some confidence. They have great feedback with a very snappy locking mechanism, you`ll be unlikely to accidentally fold or unfold the headphones. The left side houses the slightly recessed 3.5mm port with the right housing the power button just above the “fuel gauge” (just a 5 LED battery meter) and micro-b charging port. Holding down the power button for a few seconds toggles the headphones on/off, whilst holding for 10 seconds resets the headphones (not sure what its resetting exaclty). Removing the 3.5mm cable from the headphones will also cause them to power off. The 5 LEDs have a nice effect when powering on/off the headphones and glow red when power is low, it`s a feature that works well overall. This is especially pertinent because the Studio 2.0`s don`t function at all without a charge. Batterylife has been pretty solid in my uses, leaving them on overnight still didn`t drain them completely. I would say that the 20 hour claim is pretty accurate though, as other buyers have stated, it is quite easy to forget to turn them off and the Studio`s have no auto off or standby mechanism either. Of note, the red b logo on the left is actually a button. Pushing it enables the push to hear function which gently fades out the audio you`re listening to and disables noise cancelling, allowing you to hear your surroundings. It`s a nice feature to have on the go and even at home, working similar to that implemented in Bose`s noise cancelling headphone/earphone range. The included cables are off high quality. They`re not braided like V-Moda`s cables but are of the typical rubber variety. Fortunately, they aren`t tacky in the slightest with a more matte texture. The cables aren`t awfully supple but are thick and easily resist tangles. Strain relief is present if not especially reinforced and the cables seem to be built well. Both connectors are gold plated and aluminium capped with the Beats logo. I appreciate Beats using a standard 3.5mm connector on the Studio 2.0`s, although the connector is recessed meaning only cables with very thin connectors are compatible. Most first party cables will fit fine though custom cables will probably have issues. This will no doubt be the most controversial aspect of this review. For the record, the Beats Studio 2.0`s are not a bad sounding headphone in the grand scheme of things and as far as consumer headphones go, they`re definitely up there with the best. But they quickly pale in comparison to audiophile headphones, the tonality isn`t as tastefully tuned and the outright quality of the sound is just good but rarely great. For $400 I would expect a great sound, but the Studio`s are a headphone that rather occasionally surprise but frequently disappoint. With a moderately v-shaped sound, the new Studio`s pursue the trademark bass heavy sound intrinsic to Beats products. This time, however, Beats have tuned the Studio 2.0`s with a more excited high frequency response to prevent a dull or veiled sound. Perhaps they`ve been a little overzealous with this tuning, because the Studio 2.0`s lack a bit of smoothness to the midrange and treble, often sounding a little harsh and even thin at times. This contrasts to the very thick bass response and warm lower midrange. Unsurprisingly, one of my main gripes is the bass response. With a focus on mid and upper bass, the Studio 2.0`s sound bloated without a whole lot of sub-bass impact. While sub-bass is also boosted, it`s not as extended as one would expect from the level of seal produced by the Studio`s. The soundstage is one of the weakest points of the Studio 2.0`s sound. There is very little space to the soundstage and, even for a closed back headphone, the Studio 2.0`s sound particularly intimate. There`s decent depth but a total lack of width compresses sound into the centre. This isn`t helped by the thick sound that both contribute to a sense of congestion to the sound, songs with male vocals in particular struggle to maintain cohesion. They do have a decent layering of vocals and imaging is pretty accurate in general, but separation is lacking and music just doesn`t sound as good as the price should suggest. The Studio 2.0`s are actually reasonably sensitive for an over ear headphone, a few volume steps more sensitive than the Oppo PM3`s. They have no need for amping either as they are internally amplified. This is both a positive and a negative as the internal amp is pretty poor. As stated in other reviews, there is a large hiss at ALL times. It`s not quiet at all, far louder than the BOse QC25 and a little louder than the QC20 too. It`s very noticeable in a quiet environment but not when commuting or in a louder area. Luckily the hiss is more a low frequency noise rather than a piercing hiss, but it`s something to consider. Bass is particularly bloated and not tuned in an enjoyable manner at all. This is because the Beats Studio 2.0`s focus their boost on mid and upper-bass as opposed to sub-bass (which provides the impact in your music). This focus on mid/upper-bass responses results in a very thick sound and a lot of bass definition loss. Bass retrieves less detail than I would like and notes tend to get blurred together, there`s simply too much bloat. Texture is pretty good however, notes generally sound nice, but problems arise when there are either too many notes at once or they`re overly fast paced and the Studio 2.0`s get overwhelmed. That being said, the headphones do have a lot of slam. In addition, there`s no satisfying thump to the music because the bass is rolled off. That`s not to say the the Studio 2.0`s have no sub-bass, it`s just not as reaching as that provided by headphones such as the B&W P7 or the Oppo PM3`s. There is considerable spill into the lower midrange as well, which are overly warm and thick as a result. The Beats Studio 2.0`s simply bombard with sound low frequency. While it`s not to the point that they`re un-listenable, the bass boost is very large and I definitely prefer a more separated sound. 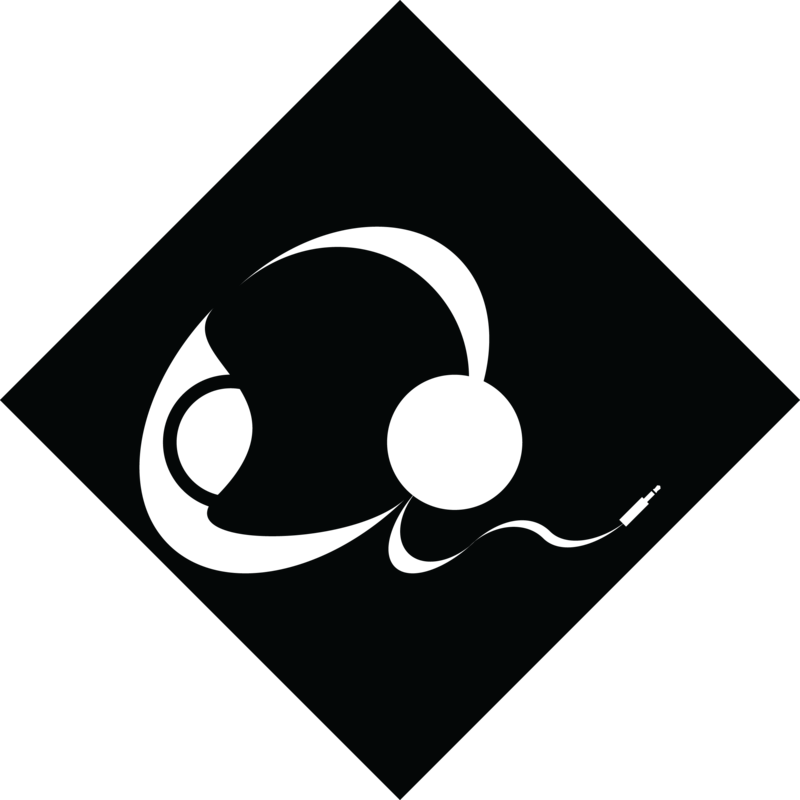 Simpler bass tones such as those in some electronic pop music actually sound fine if a little emphasized, but as soon as bass notes get even remotely intricate or fast paced, the headphones are easily lost. You want a bass boost done right? Have a look at the B&W P7`s instead. The lower midrange is very warm and thick, too much so for me and most others I would think. Acoustic can sound very bloated in particular, the excessive body masks details and reduces male vocal intelligibility. That being said as you move up into the middle and upper midrange, the sounds levels off, it`s pretty well balanced and female vocals sound much better if a little recessed depending on track. I think the midrange on a whole is actually respectable in a way. I much prefer Oppo`s take on the full-bodied midrange, but If you enjoy a warmer sound then you could do much worse than the Studio 2.0`s. There is a good amount of detail retrieval to the upper midrange, it`s not quite as detailed as the P7`s or PM3`s, but the amount of detail is quite impressive nevertheless. The lower midrange resolves below average amounts of detail however, there is just too much spill from the bass. Songs with males vocals get overwhelmed by the bass, it`s not enjoyable. The upper midrange can also sound a little harsh and crunchy at times too, I can`t put my finger on it, but it`s only apparent with certain songs. If the song itself contains a lot of high frequency information, the headphones do tend to sound a little thin as well. The treble is accentuated with decent extension but a moderate roll off up top. High hats are recessed but other treble notes come through clearly. Although I did find the treble slightly thin and even harsh at times, detailing is good and it makes the Studio 2.0`s more engaging to listen to for sure. The treble response is quite crisp with decent body and plenty of clarity. I didn`t find the treble to sound natural in some way, perhaps the inbuilt DSP is altering the sound, but treble definitely varies from track to track. In general, it`s not too bad, but treble does lack the resolution that other headphones of this price possess. The extension is a little iffy as well, despite the treble boost the Studio 2.0`s rarely sound airy, but it does grand the sound some excitement. With an RRP of around $400 in Australia, the Studio 2.0`s and even Studio Wireless are not a great buy at all. Even at the $150 refurb price I wouldn`t recommend them simply because there are so many good budget recommendations out there. The renowned ATH-m50x and my personal favourite budget headphone, the AKG K550`s, can both be had for this $150 price new in box. Both offer superior audio performance and solid passive noise isolation. But if you have your heart set on the Beats, then it can be argued that the Studio`s are a lot sleeker looking, more sensitive for use with portable devices and isolate a little better with ANC. Whilst the thick sound and strong hiss aren`t ideal for at home listening, if you`re looking for a decent headphone to use on the go, then the bassier Studio 2.0`s are a better buy than the m50`s and K550`s, just bear in mind that they`re not the most versatile headphone. Of course one could approach such a product in two ways, a serious and objective perspective or a more subjective consumer opinion. I hate to join the train, but personally I want immersion from my gear, the ability to get sucked into the music and enjoy every note with fidelity. The Studio`s rather provide a more surface level experience, they look great and notes are represented, just not very faithfully. Dr.Dre is right, most people aren`t hearing all the music, unfortunately they won`t get the full experience listening through a set of Studio 2.0`s either. Accessories – 10/10, The packaging and set of accessories is impeccable. The included carry case is compact but robust, the two included cables are solid with metal capped plugs and Beats was kind enough to include a micro-b charging cable and wall adapter as well. Design – 8/10, The design is pleasing to the eye and ear. The plush pads are comfortable and well isolating and the headphones look very modern. Additional features such as the fuel guage battery meter and push to hear function enhance this experience. Excessive use of plastic isn`t great, especially gloss black and the headband design is hit and miss. Bass – 5.75/10, Too muddy and lacking in extension, the bass boost isn`t weighted appropriately but will please some listeners. Bloat masks details and Sub-bass is limited. Midrange spill is all too prevalent but despite this, detailing and texture are not bad but hardly impressive. Mids – 6.25/10, The lower midrange is pretty thick and congested with very little detail and definition. Luckily the upper midrange is quite balanced with plenty of clarity and crispness. The score is completely redeemed by the respectable upper midrange, the lower mids are poor. Highs – 6/10, Decently extended with a moderate boost. Resolution is good not great as is detail retrieval. The treble can sound harsh and thin at times, it`s a bit variable in quality and quantity due to the DSP. Not as extended as it could be. Soundstage, Imaging and Separation – 4/10, Nor really much soundstage to speak of, small in space, not aided by the thick sound signature. Imaging is ok but separation is pretty mediocre. The soundstage is terrible for a headphone of this price. Value – 6/10, Not bad for $150 but terrible for their RRP. Abundant fakes make online shopping difficult, be sure to call support to verify the serial number. Even for $150, superior sound and build quality can be easily found, but the Beats do impress with a nice build and feature set. Overall – 6/10, At a discounted price, the Beats Studio 2.0`s are a solid choice for commuters looking for a stylish headphone with a warm, thick sound. There`s no denying that the design is eye catching and the plush pads make for a comfortable listen. Extra functionality is appreciated and the included kit is extensive. The sound is controversial, I doubt they`ll get much love from the audiophile crowd but consumers are still likely to be impressed. For $400 your money would be much better spent on the Bower and Wilkins P7`s, Oppo PM3`s and similar models from AKG and Sennheiser depending on your preferred sound and budget.